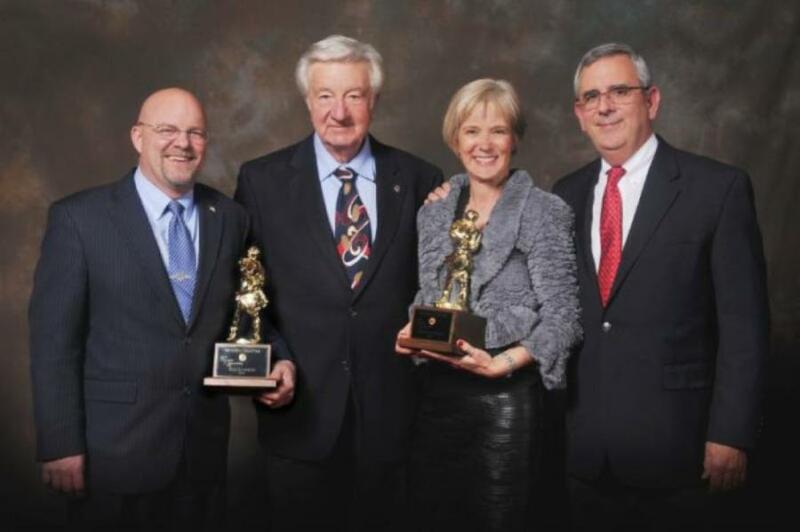 (L-R): Winners of the 2016 SIR Award are Assemblyman Ira Hansen; Past President Norm Dianda; SIR Award recipient Jeanette Belz; and former AGC Executive Director John Madole. An acronym for the AGC motto, “Skill, Integrity and Responsibility,” the SIR Award is given to honor the men, women and organizations who made outstanding contributions to Nevada, our quality of life and the construction industry. Originating with the Nevada Chapter in 1967, the SIR Award was adopted by AGC chapters nationwide, including the national office in Washington, D.C. Nominations for this year's SIR Awards are open to any Nevada resident who has made an outstanding contribution to our community, Nevada's construction industry in 2017, or throughout the span of a career. Nominations may include contractors, architects, engineers, public officials, bankers or labor leaders; in fact, any Nevada resident. SIR Award recipients are chosen by a special ad hoc committee of AGC past presidents and select board and committee members. Since the award's inception, the Nevada Chapter AGC has given out more than 100 SIR Awards to those who embody Skill, Integrity and Responsibility. To nominate a person, organization or company that has embodied the SIR Award, please contact Ashley Berriochoa at 775/329-6116 or visit nevadaagc.org. Nominations are due by Nov. 17, 2017. The SIR Award Banquet will be held at 6 p.m., Thursday, Feb. 15, 2018 at the Eldorado Convention Center.